The Happy Cat also provides small-scale cat-sitting services. 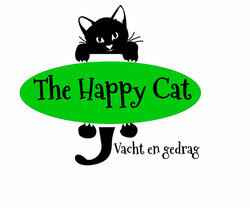 If you live in Amsterdam New-West, will be away from home for a few days, and are looking for a cat-sitter to provide your cat(s) with fresh food & water and a clean litter box on a daily basis, feel free to contact The Happy Cat. The cat-sitting service is available for the following postal codes: 1058, 1059, 1060, 1061, 1062, 1063, 1064, 1065, 1066, 1067, 1068, 1069, 1075 and 1076 and Badhoevedorp. Cat-sitting services are available elsewhere, but may be subject to the remuneration of travel expenses. The introductory meeting is free when it results in a cat-sitting agreement. If you choose not to use my services, I will charge a one-off cat-sitting fee. If there's insufficient food, litter or medication available, it will be purchased by me in consultation. If consultation is impossible, I will purchase replacement products as I see fit. You will be charged with the purchasing costs plus the costs of an extra visit. If your cat is ill during the cat-sitting period, I will contact you and bring the cat to a vet if necessary or upon request. The costs for the trip will be passed on to you directly and any veterinarian costs will be at your expense as well. If you cancel a cat-sitting appointment less than 24 hours in advance, I will charge you for the visit unless agreed otherwise in writing. In case of illness or other urgent reasons, The Happy Cat is entitled to have a qualified replacement fulfil the cat-sitting agreement or bring an intern. What does a cat-sitter at home cost? Book a cat-sitter for your cat now.